As much as I love to cook, this time of year I just want to fix something quickly so we can get on to more fun things… like going for a walk, relaxing on the patio or planning our California road trip we have on the calendar in June. Summer (especially these early few weeks before it really heats up in Texas) is no time to be slaving away in a kitchen. That’s why there are grills. And gorgeous fresh produce that’s even better raw. These turkey tacos are a perfect summer dinner. They’re quick – like 15 minutes quick. And using romaine instead of tortillas give them an even fresher, crisper taste. Top them with your favorite fixins. We usually keep it simple with fresh avocado, cilantro and tomato. You could always go even more low maintenance with your favorite store-bought salsa. Or take it to a whole new level with your own salsa creation…maybe something with mango or peach? In the name of keeping things simple for summer, I’m making this one short and sweet…and going for a walk. Happy Summer, everyone! Heat skillet over medium heat and add coconut oil. Add onion and sauté until translucent, about 3-5 minutes. Add garlic and spices; stir and cook another minute. 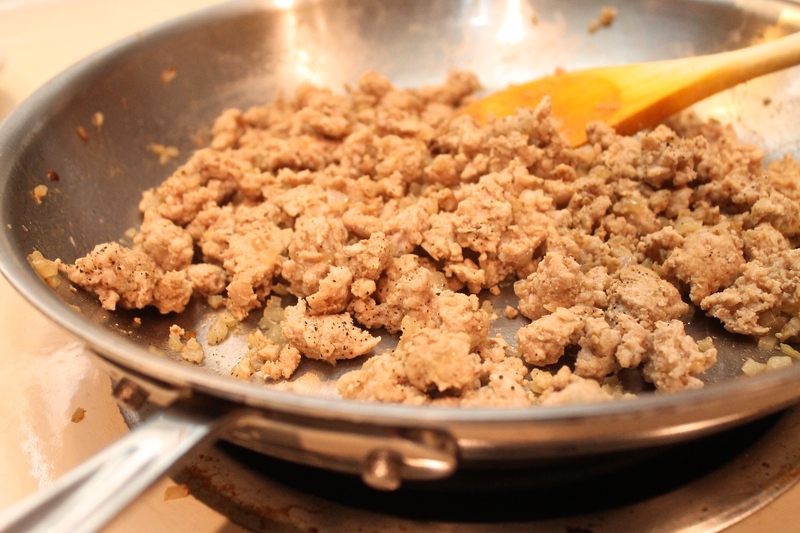 Add ground turkey and cook until cooked through and lightly browned. To serve, spoon turkey into romaine leaf and top with tomato, avocado and cilantro. Finish with a squeeze of lime. Love it – I’ve been feeling the same way lately! I love to cook but summertime makes me want to spend less time in the kitchen and more time outside!